As the owner of a rental property you want to do everything possible to safeguard your investment. Of course you get a Landlords insurance policy to safeguard the structure against major financial loss due to damage. However, make sure you know what this policy covers, or more importantly, what it doesn’t cover. Although, these policies can be customized to cover a variety of risks and liabilities, unfortunately flood damage isn’t included. To protect against losses due to flooding a policy from the National Flood Insurance Program is necessary. The National Flood Insurance Program states that 25 percent of all flood claims occur in the low to moderate risk areas, so flooding can occur anywhere (not just areas that are historically prone to flooding). After hurricane Katrina, residents living in the gulf states learned this lesson the hard way. They were informed after Katrina that if the water comes in from the ground level it is covered by flood insurance, but if it comes in from above it is covered under a homeowners policy, even if the water damage is being caused by the same event. Unfortunately many did not have flood insurance and their homeowner’s policies would not cover flood damage associated with the storm even though their properties had never flooded, even during devastating events like hurricane Camille. What is the landlord’s responsibility? You did your due diligence and got flood insurance, but what was covered? Essentially your coverage typically includes the structure and your furnishings. If you furnish appliances and maybe a piece or two of furniture then you should be covered. What about the tenants property? None of the tenants belongings will be covered by your policy. It should be made clear in any rental agreement that it is recommended that tenants secure not only renters insurance but also flood insurance to cover their items. Clearly they will need to do a short cost-benefit analysis when considering premium cost versus belonging’s value, but it should be clear that it is their choice and responsibility. • An emergency kit including water, a flash light, snacks and any shut-off equipment required for utilities Additionally, it should be required in the rental agreement that if a mandatory evacuation order is issued the tenants are required to abide by the order and leave the property. Many property owners lack the time or interest to manage their properties themselves. Let us handle all day to day affairs of property management, from ensuring you have the right flood insurance coverage, to recommending tenants secure both renters and flood insurance. 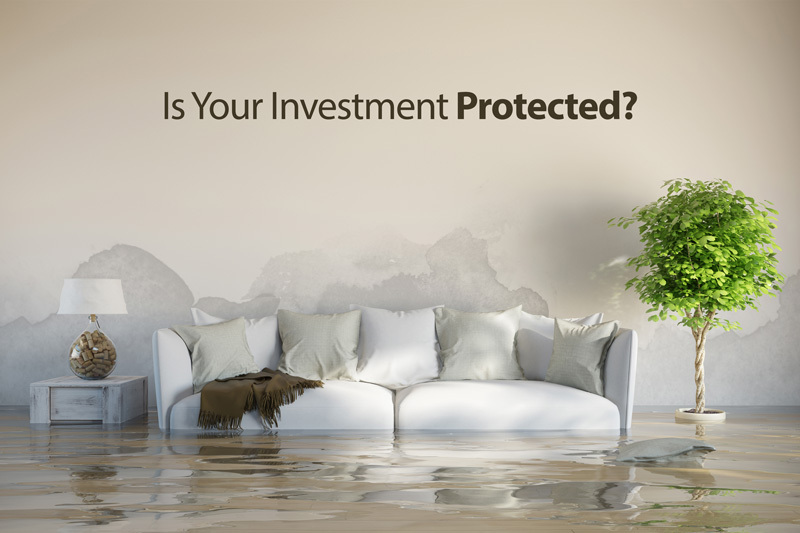 At Real Property Management Tidewater, we can help you discover a better way to avoid the costly home insurance mistakes associated with flood damage. Work with us today to turn you investment into a property both you and your tenants will truly appreciate.